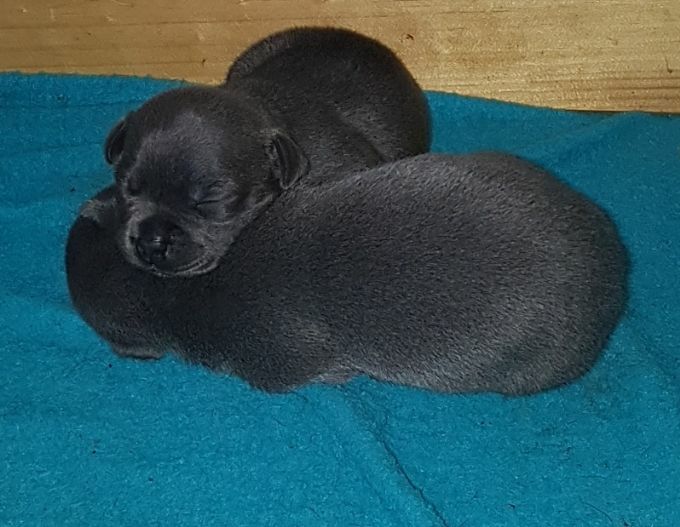 HOTAILDOTCOM Staffords, is OVERJOYED, to announce THE ARRIVAL of 9 Bluetiful Pubbies, 9th May 2018. Our Super Purdy Winning Princess "HOTAILDOTCOM WishYouWereHere" - STORM Whelped 9 Bubbas - 6 Bluetiful Boys & 3 Gorg Gals! Being Completely Free-Range Boutique Breeders on the Beaches in SA's Barossa Valley, we don't have litters very often. Generally only once per year, if blessed. Only SERIOUS PACKS/APPLICANTS NEED APPLY FOR FUTURE LITTERS' WAITING LISTS, WITH WELL THOUGHT OUT, MEANINGFUL EMAILS. NO TIME WASTERS PLEASE, & LAZY APPLICANTS WONT BE RESPONDED TO. You're NOT BUYING A FRIDGE OR LOAF OF BREAD. YOU'RE ADOPTING a Precious, Miraculous Bluety-Filled Life, THAT WE NOT ONLY GUARANTEE, but would hope will be by Your side for a GOOD 13-15YRS. Thanks for all your enqs; Chow for now Petals ! We look forward to receiving your letters for future Litters' Application. Please feel free to ask as many questions of us as you please, as this is your opportunity to find out all that you need to about us, & Our Beloved HOTPACK!!! THE ONLY WRONG OR INCORRECT QUESTION, IS THE QUESTION/S NOT ASKED! We hope you're all having a pawesome weekend with your BFFFs, Furry & Smooth. Hear from you all soon, so we can commence our STRINGENT Adoption Process ASAP. However if you would still like to Adopt Your BFFF from HOTAILDOTCOM Staffords, because the timing is not quite right, please feel free to contact us! We ONLY ACCEPT THOUGHTFUL ADOPTION Applications, for these, & ALL of Our Beloved Babies, TO ENSURE CORRECT PLACEMENT, into ONLY THE VERY BEST, & MOST PAWFECT OF STAFFORD HOMES. SO, ONLY THE STRONGEST OF DOG PACKS/FAMILIES PLEASE APPLY. YOUR NEW GAWJUS BFF, WILL ARRIVE, THRIVING & READY TO TAKE ON THE WORLD WITH YOU!!! They will have been raised, loved & adored beyond belief, thoroughly vet-checked, wormed, vaccinated, & with an INCREDIBLE PUPPY PACK for you to ENJOY TOGETHER. Use Your Adoption Letter, to ask us as many questions as you like. This is your opportunity to check us out, as TOTAL STAFFORD ADORERS & DEDICATED BREEDERS. Good Luck. We look forward to meeting you. Thanks. All Bubs OF COURSE, are safely Micro-Chipped, Main Registered, Absolutely BESOTTED with Love & Adoration from Us (Nanna & Pop HOTAIL & The HOTPACK! ), FULL Vet-Checked&Wormed, & come with a PAWFECT Puppy Pack, for you to enjoy MUCH with your New Beloved Together in YOUR 1st few months. Please READ THIS Website THOROUGHLY, for Correct Adoption Application Methods, otherwise we're sorry to say, but if YOU CAN'T be bothered, why should we?!! We MUST look out for THE VERY BEST interests of our Precious GrandBubbas. We look forward to meeting you, as you Check us out on our own Youtube Channel @ HOTAILDOTCOMStaffords & Bec Banner. Enjoy meeting the rest of Our Beloved Spunky HOTPACK! Wruuufa!!! AT HOTAILDOTCOM STAFFORDS WE GUARANTEE ALL OF OUR BEAUTIFUL PAWESOME PRECIOUS LIL PUBBIES. THATS JUST ONE OF THE LOVELY THINGS & IN THE END DIFFERENCES, THAT COME WITH BEING A MEMBER OF THE HOTAILDOTCOM FAMILY, WHICH WE ALL ARE A TRUE SENSATIONAL STAFFORD FAMILY TOGETHER...ALL enjoying in each other's Pubbies Successes, & Growth through life & A FULL HOTPACK OF SUPPORT, FOR THOSE MORE TRYING TIMES. If You wish to go through our Extensive Adoption Process, & paws crossed, get through to be placed onto our wonderfully Patient Waiting List FOR FUTURE HOTAILDOTCOM LITTERS, please dont hesitate to contact us asap, to start off your personal Adoption Process, with AS MANY QUESTIONS YOU CAN FIRE AT US, so that You & Your Pack, can be as confident in Your Familys' Furry Stafford Shadow Adoption as completely possible. THE ONLY SILLY OR WRONG QUESTION IS THE QUESTION NOT ASKED!!! Your Absolutely Brilliant & Beautiful , Free-Range, Boutique, HOTAILDOTCOM Stafford Pedigree Pubbie, will eagerly arrive to Your Home/Family/Pack, On Mains or Limited Register (as requested), MicroChipped, Thoroughly VetChecked & Certified, Socialised, Vaccinated, Nail Clipped, Wormed, Adored, & Loyal & Loving to You, like nothing on this earth! ALL PUPS L2-HGA & HC CLEAR. We test our own Pack! We also pride ourselves on the AB FAB Puppy Pack, Your Pup will arrive with- EVERYTHING to get you & Your Lil' Spunkster, through those 1st months together- excluding food & Your Lil' Beloved's Bed! LITERALLY!!! Enjoy your "PRESENT" together! You have FULL Naming Rights of Your Sweetheart, & We enjoy providing Lifetime 365 Days Per Yr, 24/7, Aftercare for You, Your Lil HOTAILDOTCOMer, & Your Pack, & INSIST on Our Beloved Extended Families' Family Photos & Updates as they grow! WE need to watch how they grow into Your Beautiful & Magnificent Blue Staffords, aswell!!! Paweeease?!!! We look forward to hearing from You Soon. Have a great day, with ALL Of Your Beloveds furry & smooth, take care & ROCKON!